I love Chipotle. If you don’t know about Chipotle – you live under a rock. And, I’m thrilled to say most of the items on the menu are gluten-free. As you know, you can add any of your favorite toppings at Chipotle to make a “meal.” So, I didn’t list all permutations and combinations. I listed all gluten-free items at Chipotle to form a “Chipotle gluten-free menu”. And, you can combine those items to make gluten-free burritos, bowls, and salads. Tell me about your winning combo at Chipotle. Let’s get creative – together. *Chipotle’s disclaimer states that any item made with corn (i.e., chips, corn salsa) may have gluten-containing grains in the field where the items are grown. **If you order tacos, please ensure you order the “crispy corn tortillas” and NOT the flat tortillas. The flat tortillas are made with flour. I’ve personally tried both the chips and crispy corn tortillas, and I’ve never had a negative reaction. Please use your judgment. Do Chipotle chips have gluten– Maybe; I would avoid them if you have celiac. Chipotle’s disclaimer states that any item made with corn (i.e., chips, corn salsa) may have gluten-containing grains in the field where the items are grown. Hi, I’m Lorally! I love pasta bowls, pizza, and Dr. Pepper. And, my Boston Terrier, Lola B. I wear all the “hats” at Chew This Up. Did you make a recipe? Tag @glutenfree.anytime_anywhere and use #glutenfreeanytimeanywhere. Or, email me at [email protected]. I want to hear from you. Important Note to Website Visitors and Users: This website is an independent source of information and commentary. Recipes, reviews, reporting, and other website content are not endorsed or guaranteed by the website owner or contributors. While effort has been made to report information accurately, some of the information may change over time, and users should satisfy themselves that it is still accurate. Individuals with food sensitivities and allergies are strongly cautioned to consult with their health-care providers about the appropriateness of the restaurants, recipes, ingredients and other information offered and to exercise their own independent care and judgment in making decisions about where and what to eat. 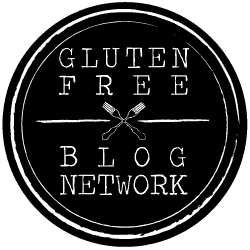 Subscribe to the newsletter to get the latest recipes, guides, reviews & exclusive access to FREE resources! Ihop Gluten-Free Menu | What's Your Favorite Item? What's Gluten-Free At Jack In The Box? Check your email. Your eBook is on its way! Download FREE Anti Inflammatory ebook!